What is the first indication of skin cancer? An odd-looking mole on the skin. How about cervical cancer? We search for cells that look abnormal. The eyeball, whether aided by microscopes or not, has a critical role to play in medicine, since it feeds information to a brain that is very good at picking out subtle differences. This is why endoscopes are so useful: they allow doctors to see what would otherwise be hidden. But even then, most endoscopes only show the surface features of organs, while a good diagnosis requires looking at cells that are hidden beneath the surface. This is exactly the problem that a large group of scientists, doctors, and engineers has addressed. 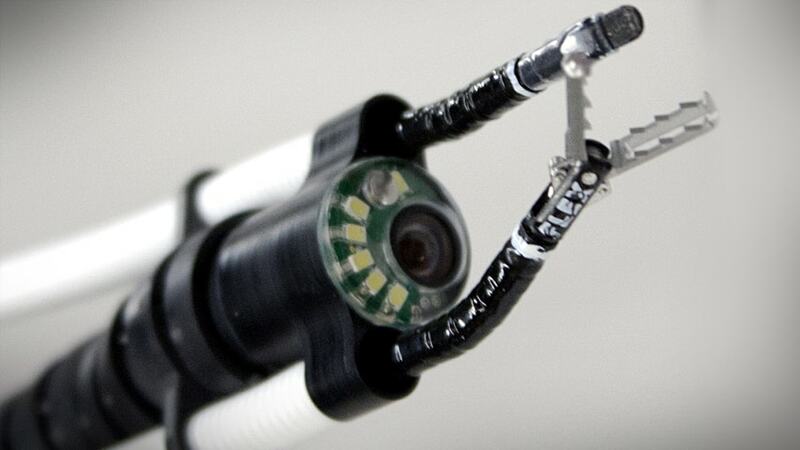 The researchers have developed an endoscope that is much better at revealing hidden features. In some ways, we should be surprised that we cannot see beneath the surface of our skin. If you’ve ever looked at cells under a microscope, it is really hard to make anything out. You see a couple of thin, barely visible membranes and a few mostly transparent lumps. A cell is mostly water, and most of the light simply passes through it.